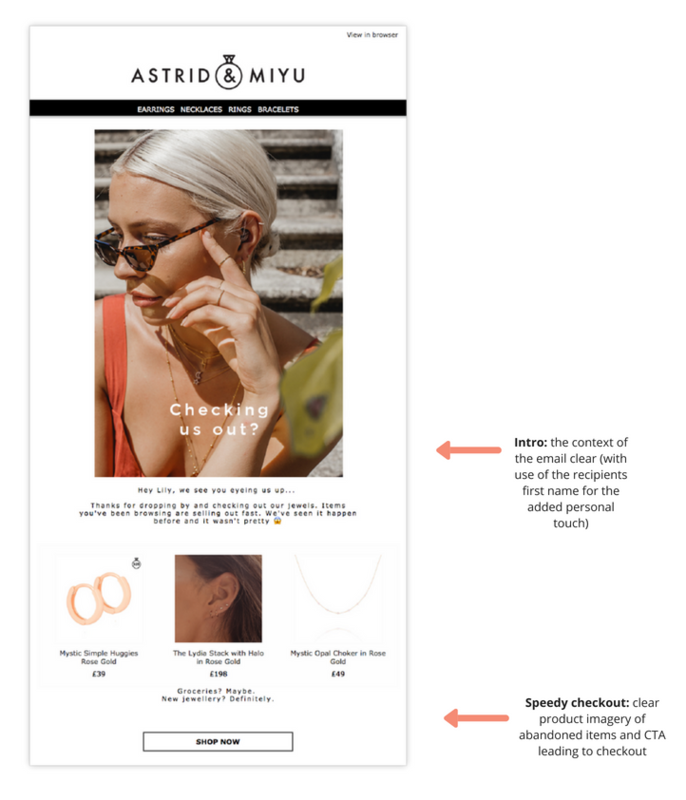 With this two-part campaign, Astrid & Miyu wanted to continue the customer journey from its offline experience (in this case, in-store ear piercing services) to the online. This automated campaign encourages purchase from their ranges once their piercing has healed, and even to schedule another piercing appointment. 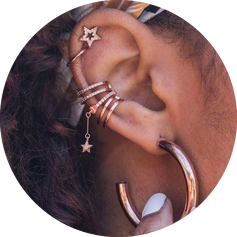 Email following appointment with aftercare tips: the campaign feels personal and attentive as aftercare tips are provided along with a how-to guide for wearing the brands signature “stacked” cuff jewellery (which doesn’t require a piercing) until their piercings heal. 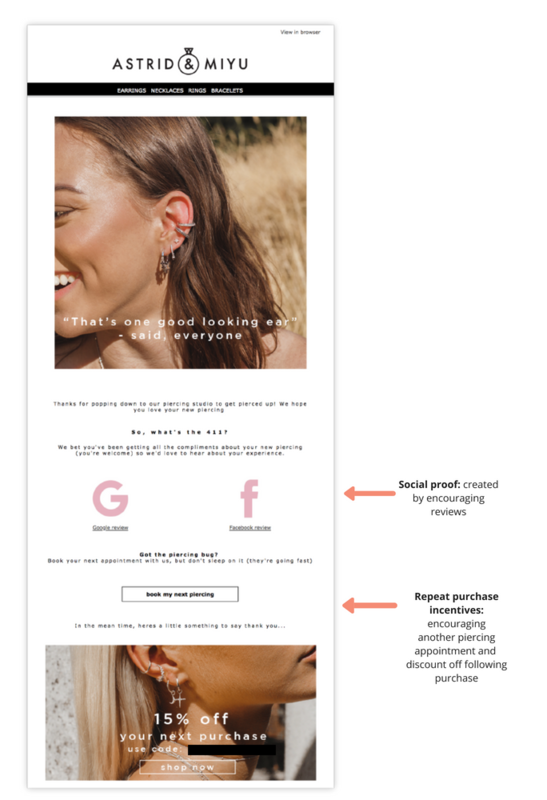 There is a follow-up email automated to send out a few weeks later if the shopper doesn’t make a purchase with an incentive encouraging the first purchase for their brand new piercing. The automated follow-ups are timely and relevant with each touchpoint encouraging purchase, shopper individuality and solidifying brand identity with the customer. The brand’s signature piece is the stackable ear cuff. To highlight the latest designs available, Astrid & Miyu sent an email to customers who had just purchased one from them. 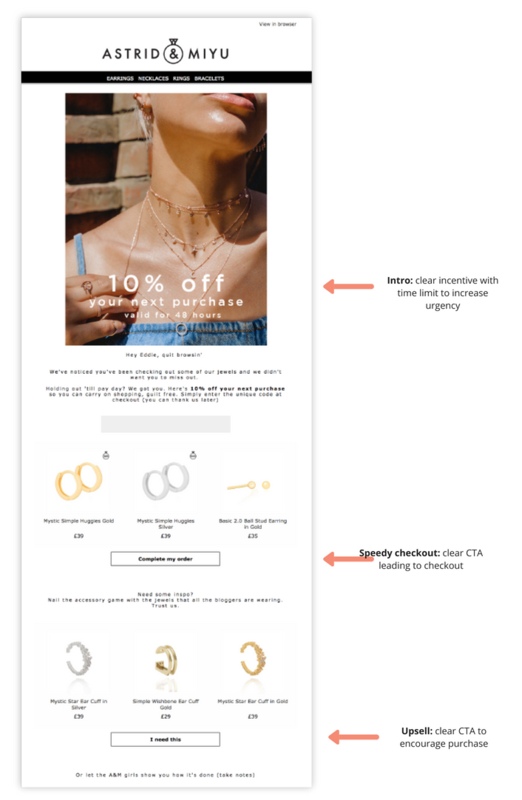 When the customer purchased an ear cuff (either online or in-store) Astrid & Miyu follows up with an email containing useful content, which also smartly cross-sells more cuffs that the shopper can add to their collection. A ‘how-to’ guide for applying the cuffs adds a personal and practical touch for first-time buyers to become accustomed with the signature piece. Astrid and Miyu wanted to engage with shoppers who had browsed items but not purchased them and weren’t engaging with their emails. 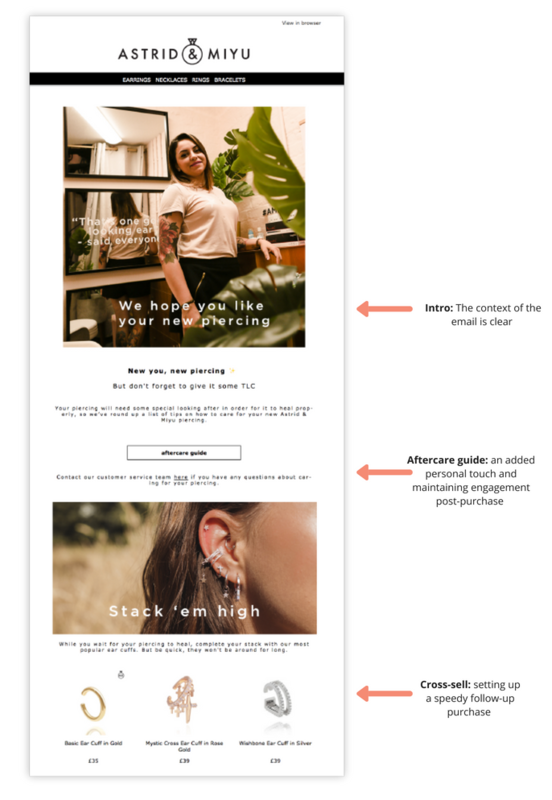 The brand decided to go cross-channel, using Ometria’s social custom audience targeting to serve up Instagram ads to disengaged recipients, nudging them back towards purchasing and to their inboxes. These are just a few of the campaigns that can be used to create memorable marketing experiences throughout the customer lifecycle. Read our Advanced Guide to Automation to learn the essential campaigns every retail marketer should be sending.